Breeding African Grey Parrots can be difficult and can turn into a lifelong hobby, as the birds themselves can live for 60 to 90 years. Although breeding African Grey Parrots is tricky, creating a good nesting box can actually be easy for you to do. Cut four pieces of wood out of a 1/8-inch-thick plywood. The four pieces should be one foot long and eight inches wide. Stand the four pieces up on a sheet of 1/8-inch-thick plywood. Nail them together to form a square. Glue all four sides of the square to the plywood. Use your saw to trim around the plywood and cut off the excess. Place about an inch of nontreated wood shavings in the bottom of the box. Place the box in a quiet corner of your African Grey's cage. 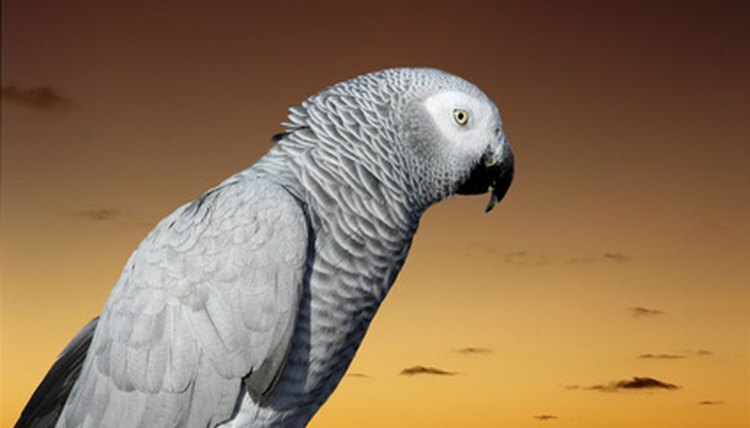 Place a bird ladder in the box so the African Greys can get in and out of it easily. Place nesting material inside the cage so the Greys can build their own nest inside the box.